There are many things that are fat in Venezuela. The people are fat, mostly as a result of a terrible diet. And Diosdado Cabello’s wallet is fat. But there are also a number of things that are thin, ultra thin. Newspapers are Calista-Flockhart-thin. 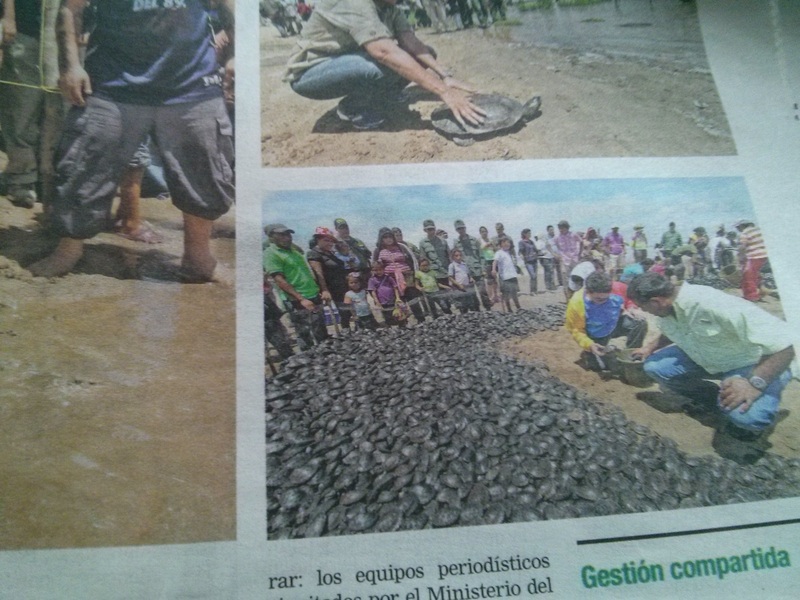 The picture above shows three, count’em THREE national newspapers. 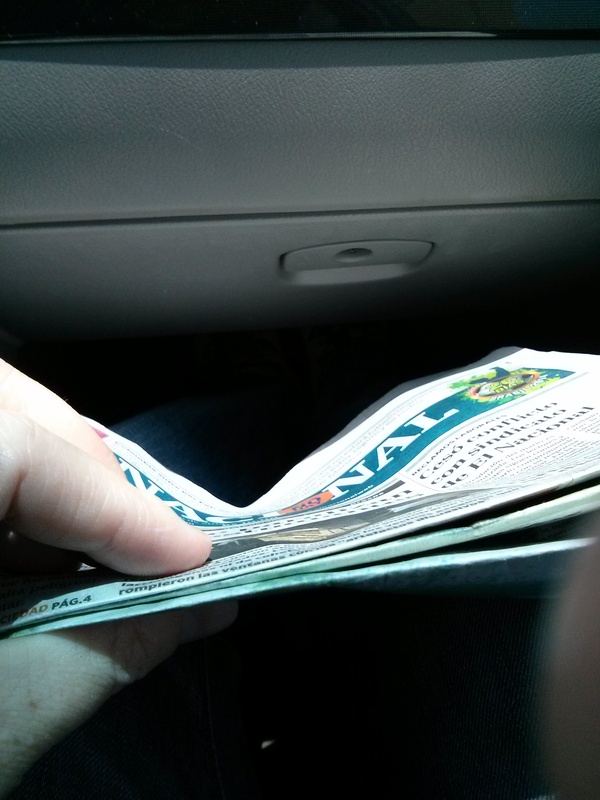 I guess you read about the paper crisis a lot, but when you actually buy El Universal and hold its squalid eight pages in between your fingers – that’s when you really want to cry. Don’t get me wrong, I love turtles as much as the next guy. But front page news for that? In a country with so many problems? 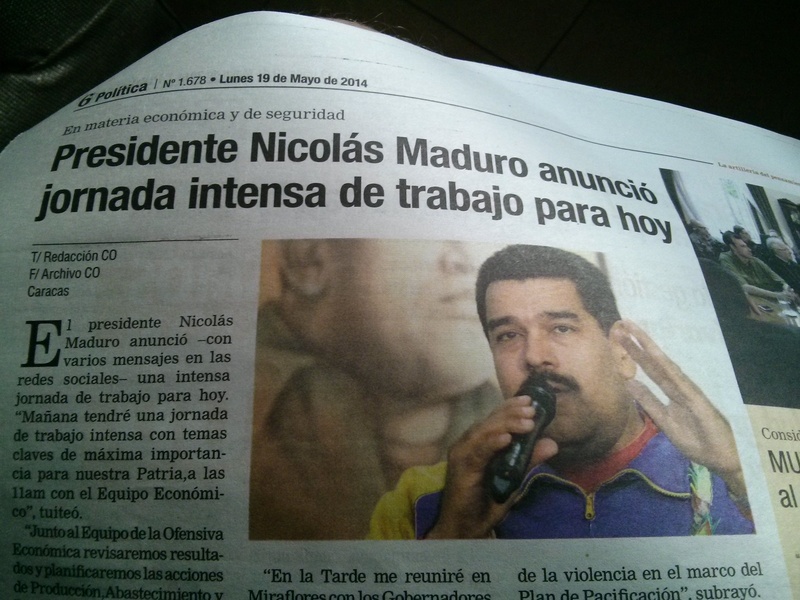 Oh, chavista propagandists, never change. You make my job so much easier. Then there are the signs, thin signs splattered all over the country. Never mind the billboards that greet you when you take the tunnel in between terminals at Maiquetía – the endless billboards of Chávez and Maduro. Those are a given. I’m talking about the mandatory signs in businesses. 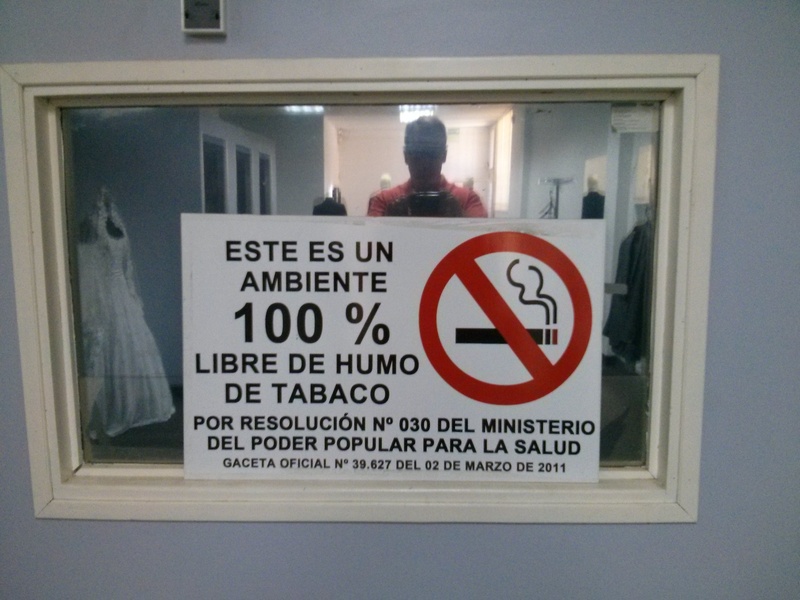 There are signs everywhere announcing that no, you can’t smoke anywhere in Venezuela. Now, I applaud the anti-smoking efforts, but did you know that a pack of cigarrettes in Venezuela costs BsF 60? That’s less than a dollar at market rates. If you’re going to discourage smoking, you might as well use, y’know, the pricing mechanism. What is the point of discouraging smoking by banning it everywhere, when cigarettes are less than a dime a dozen? Chavista heads are too thick to think through the logic of this. Know what else is thin? 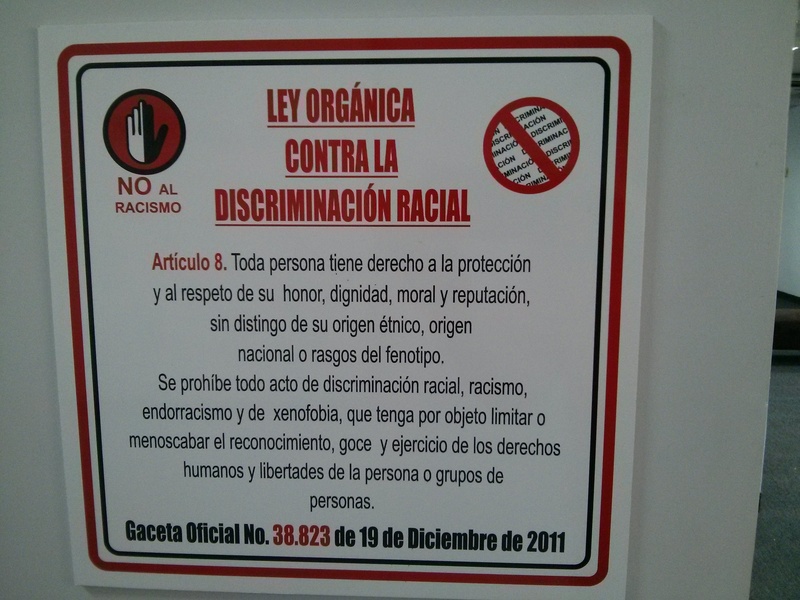 The signs telling us that all forms of racism are forbidden, including “endorracism” … I still don’t know what that means, and if people don’t know what it means, what is the point of forcing businesses to put up signs forbidding it? It’s like forbidding any variation of Martian rugby. Of course, there are signs everywhere forbidding firearms. I’m sure people all over Venezuela respect those to the T – nobody carries a firearm into a store or a restaurant, right? 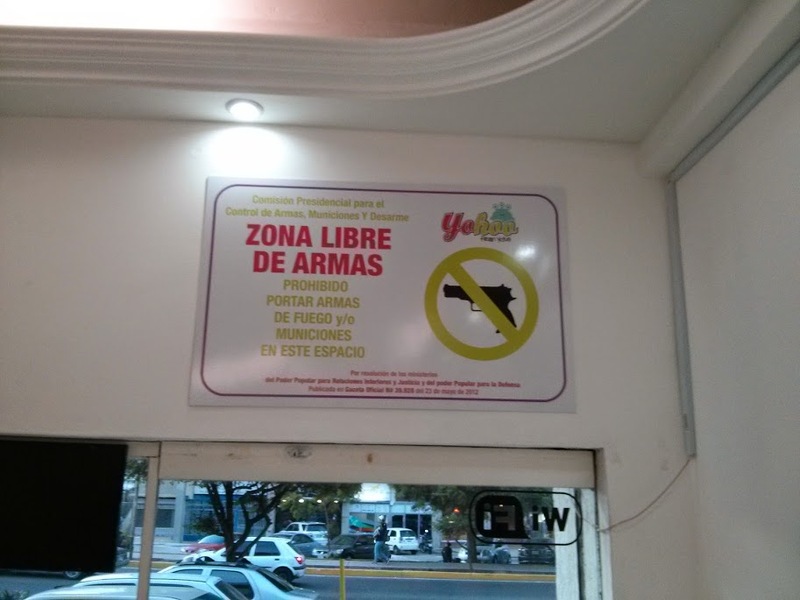 Kidding aside, I found it kind of charming when I saw the sign forbidding firearms plastered above the entrance of an ice cream store, done in pastel colors mirroring the motif of the store. Adorable! Who said the revolution wasn’t flexible? The signs are a perfect allegory for what has become a billboard revolution. It is a revolution because the ads tell you it is. Reality is quite different. The revolution is really about conspicuous consumption, about devaluation and increasing poverty. But read the billboards, and a different country emerges. The signs reminding you that you have stepped through the looking glass are tall and wide, and barely an inch deep. Like the revolution that has spawned them, they have no depth, but they cannot be missed, and they will not be ignored.